All children dream of having their own tree-house, now pupils at Fairfield Infant School can learn in one every day as the school have just had a new outdoor classroom designed and built by Blue Forest to help the youngsters with their schoolwork. 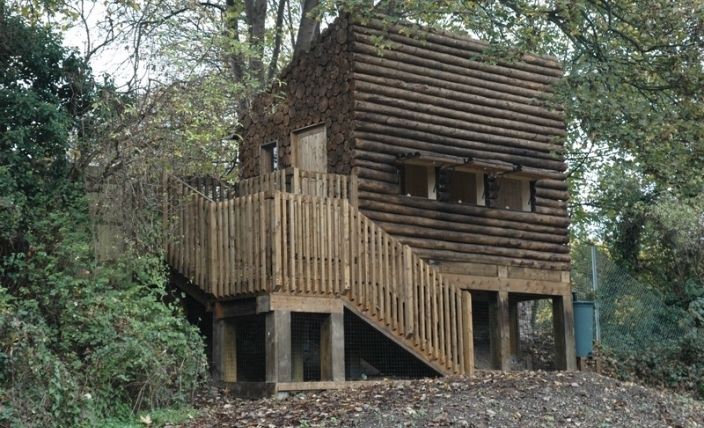 The outdoor classroom has been built some way off the ground so the school’s youngsters can look down at their nearby meadow. Nestled among the school’s wooded area, it looks just like a tree-house. The space will also be used as an area for drama and role-playing games.